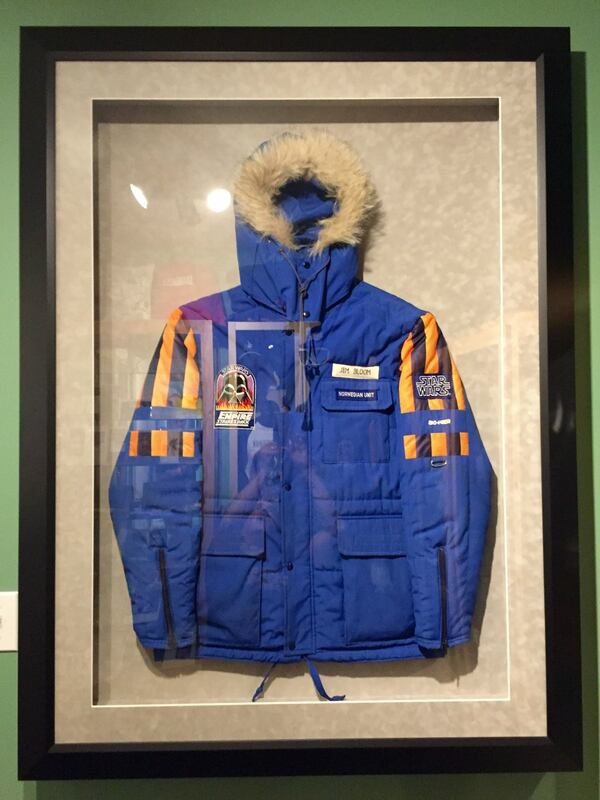 This is a parka that was used for the filming of the Empire Strikes Back in Finse, Norway. 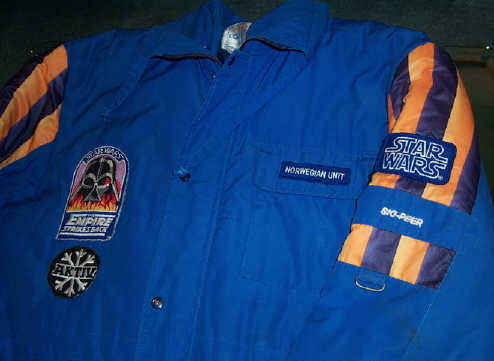 The left pocket features a patch for the "Norwegian Unit" with the Star Wars and Empire Strikes Back patches visible as well. These parkas can been seen in various "Making Of" and behind the scenes shots from the filming of Empire Strikes Back. 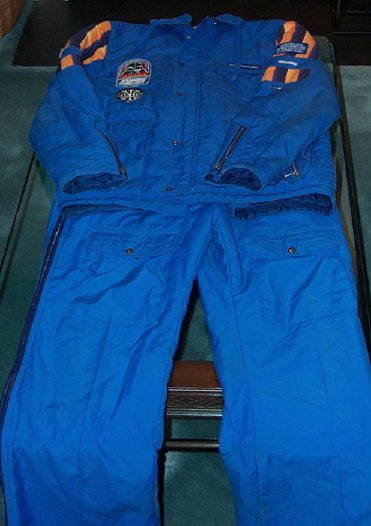 As can be seen from this image, the suit is a two part snow suit with matching pants. Additionally, an image is provided of a different parka, this one belong to Associate Producer, Jim Bloom.